In a move to prevent extinction of crows, a park has been built in Madhya Pradesh's Vidisha town, exclusive for these birds. An organisation named Muktidham Seva Samiti has opened the park. Speaking to ANI, the secretary of the organisation, said, "We opened the park to save the crows. Since all of us have been making an effort to save them, we will surely get the blessings of our ancestors." One of the members of the organisation, said, "Crows are important both religiously and scientifically. We wanted to protect their species so we have built this park. There is a proper arrangement for food and water for them here." 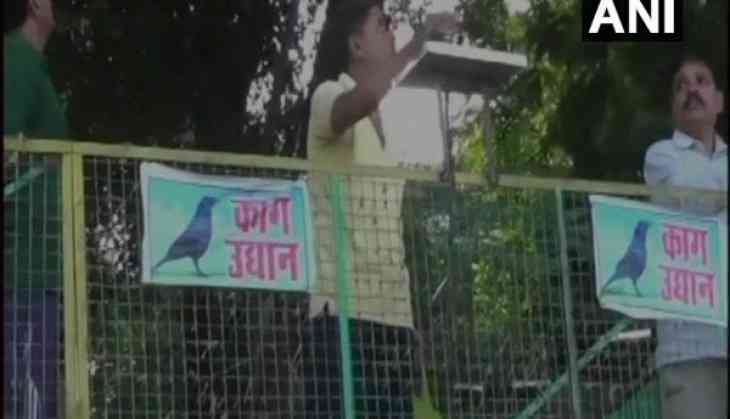 Meanwhile, municipal councillor, Dinesh Kushwaha said that crows are considered as ancestors according to Hindu religion and thus feeding them is a "work of great virtue". "My team comes here every day to feed the crows and everyone believes that this work is both religious and scientific. According to religious belief, crows are considered as ancestors," he added. The organisation further said that another reason behind saving the crows is 'Pitru Paksha', a 16-day lunar period, observed by Hindus to pay homage to the departed souls of their ancestors. This year, Pitru Paksha or Shradh paksha started on Monday and will go on till October 8.